The Lions re-signed running back Zach Zenner, according to a team announcement. Zenner will serve as the team’s fourth running back now that Ameer Abullah is out of the picture. Zenner spent the last three seasons with the Lions and re-signed with the club this offseason. Unfortunately, he was held back by injuries in the summer and was released from IR in September. After waiting the required period of time, the Lions brought him back into the fold. Zenner enjoyed the best season of his career in 2016 when he ran for 334 yards and four touchdowns off of 88 carries. He also added 18 catches for 196 yards. All of those numbers stand as career highs for the former UDFA out of South Dakota State. Barring an injury, Zenner doesn’t figure to see a whole lot of work this time around. For now, he’s stationed behind Kerryon Johnson, LeGarrette Blount, and Theo Riddick. 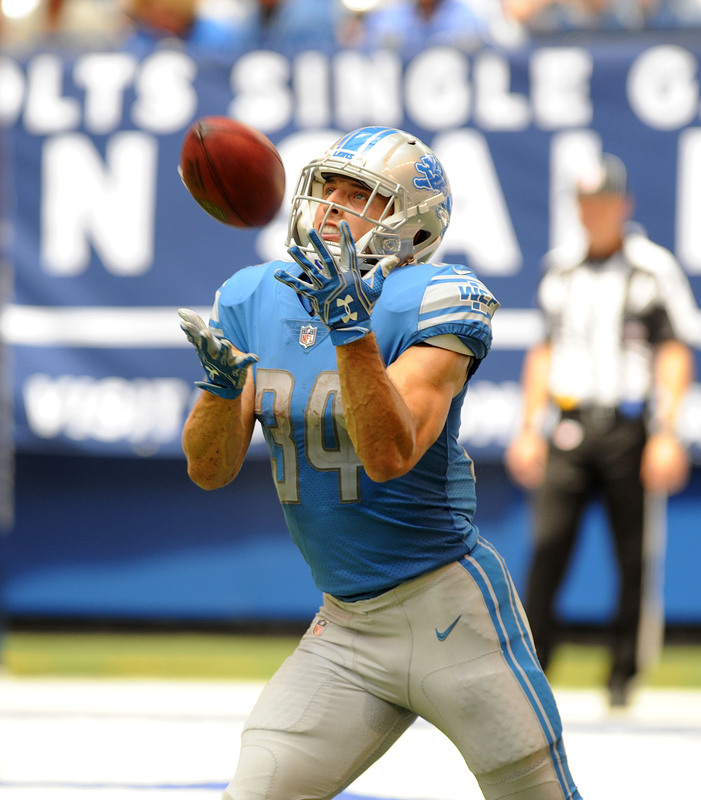 To make room for Zenner, the Lions waived wide receiver Andy Jones. OK, Zach Zenner really needs to be given an opportunity with another team in need of a running back. Obviously the Lions do not see a future for Zenner. I would love to see Zenner with some teams that picks up these ‘nobody’ gems and makes diamonds out of them. Like the Patriots and Wes Welker, Danny Amendola, etc. Except that I HATE the Patriots, but I love what they’ve done with relative ‘nobodies’ like Zenner that teams just never truly give a chance. Zenner is dynamic, I think he would really shine for the right team. It just is NOT the Lions. Quit stringing him along.